Compliancy Group is proud to announce that email encryption service provider, Paubox, has completed the Compliancy Group HIPAA compliance implementation process to Achieve, Illustrate, and Maintain HIPAA compliance. 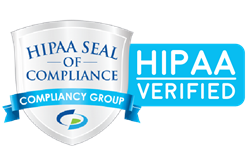 After moving its compliance program to Compliancy Group, Paubox has been awarded the Compliancy Group Seal of Compliance, demonstrating their "good faith effort" toward satisfying the HIPAA standards and creating an effective HIPAA compliance program. Compliancy Group's implementation process is a strictly standardized methodology that allows organizations of any size or scope to deal with the daily challenges of HIPAA compliance. Users manage their HIPAA compliance via web-based access to The Guard. The Guard is Compliancy Group's award-winning HIPAA compliance solution that gives users the ability to confidently address every element of HIPAA compliance to demonstrate their "good faith effort" toward compliance. "Paubox has proven their dedication to HIPAA compliance and set a strong example for the rest of the health care IT industry," said Joe Bilello, Vice President at Compliancy Group. "Too often we see vendors throughout the industry who mistakenly think that they can avoid HIPAA compliance. The truth is that health care vendors who handle sensitive health care data must be HIPAA compliant. And among a whole industry of competitors, Paubox has set itself apart from the rest by working with Compliancy Group to Achieve, Illustrate, and Maintain HIPAA compliance." Compliancy Group simplifies HIPAA compliance so that health care professionals can confidently run their practice. The Guard™ is our simple, cost-effective, HIPAA Software. Users are guided by our team of expert Compliance Coaches™ to Achieve, Illustrate, and Maintain™ total HIPAA compliance. Visit https://www.compliancy-group.com or call 855.854.4722 to learn how simple compliance can be. Paubox is the leading provider of HIPAA compliant email services. Paubox is the only email encryption solution with Zero-Step encryption on all sent emails. Paubox eliminates cumbersome extra steps for senders and recipients. No apps, no portals, no passwords. Just secure email.